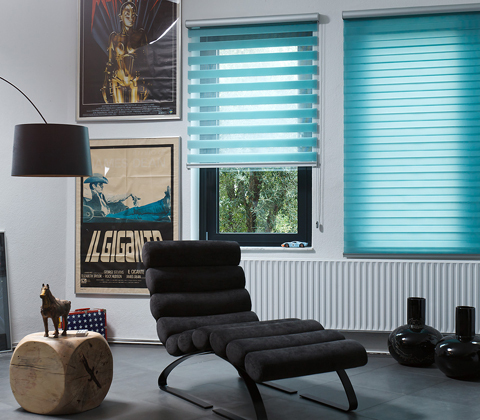 Twilight is an innovative and stylish new way of managing light in any room in any home. 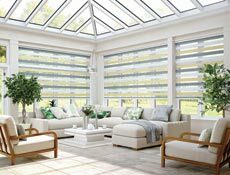 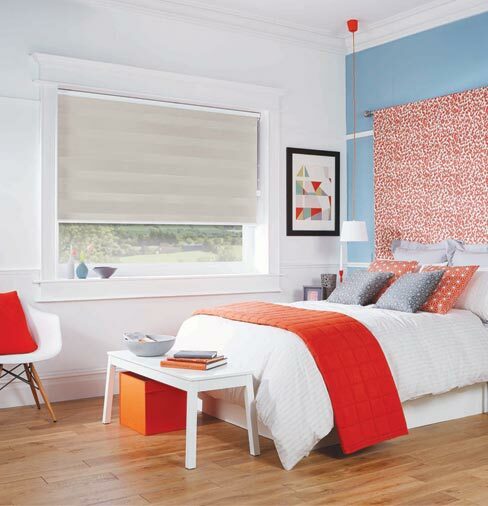 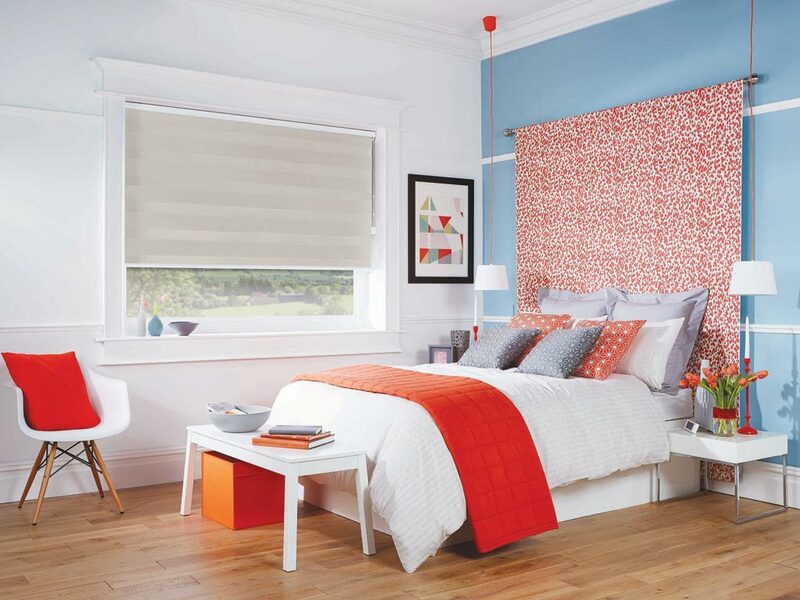 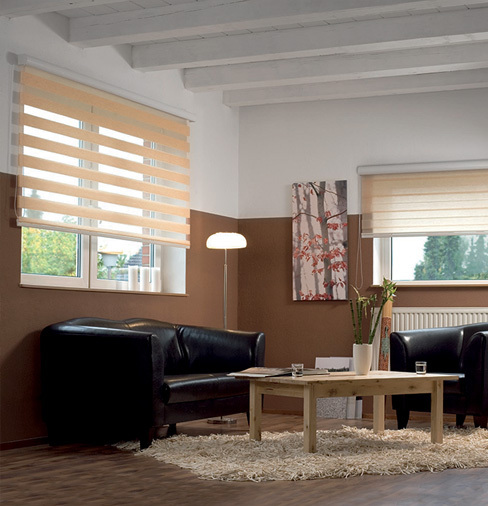 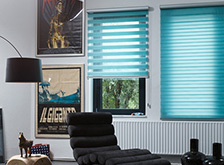 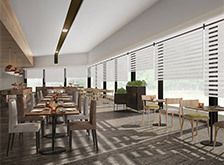 Its unique duo roller fabric system incorporates both solid and sheer fabric panels. 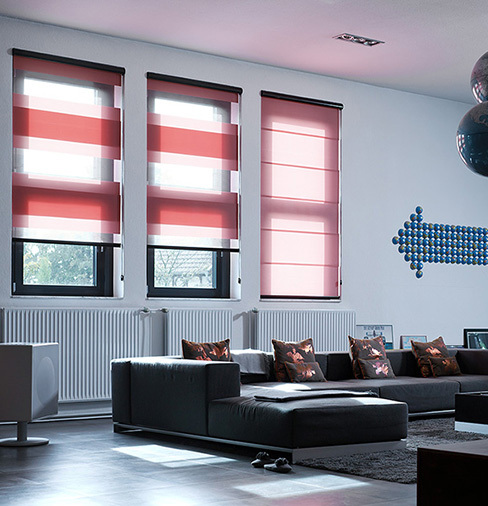 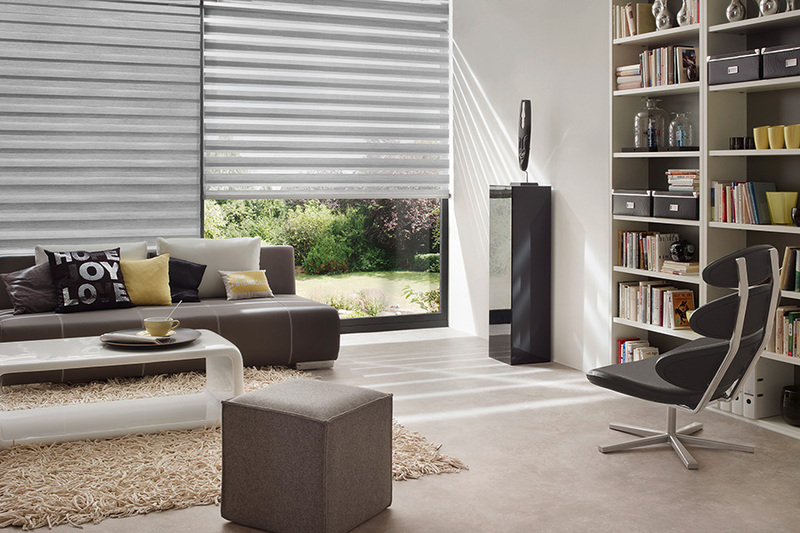 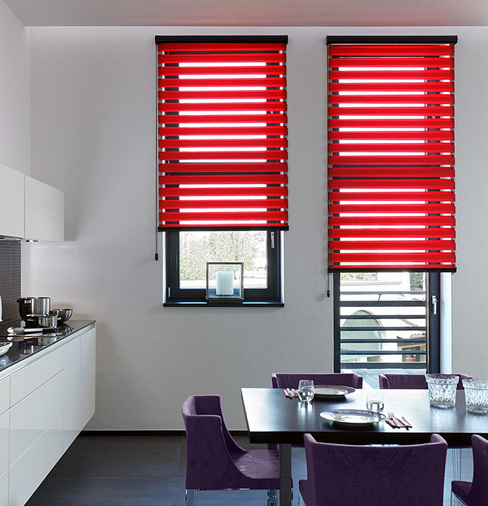 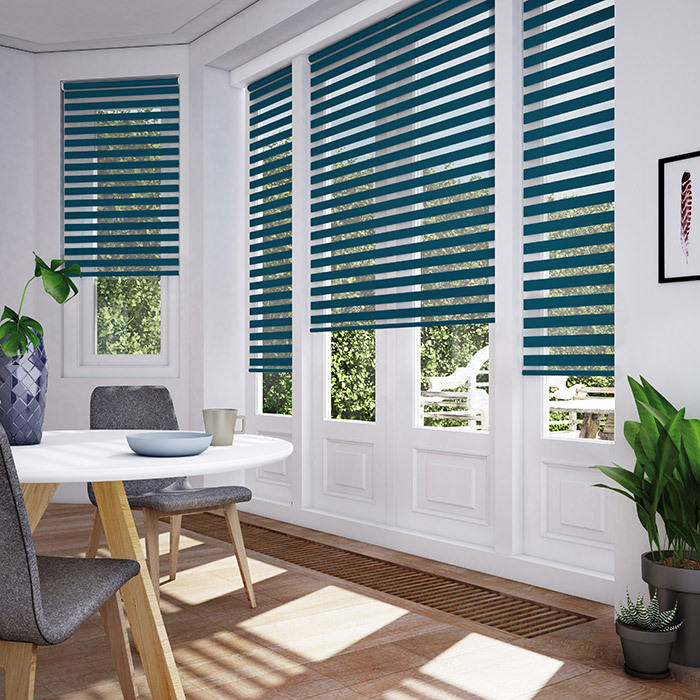 The continuous loop of fabric is adjusted around a bottom bar to provide varying degrees of light or shade, according to the matching or contrasting fabric panels. 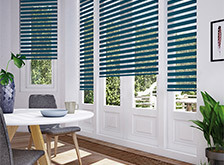 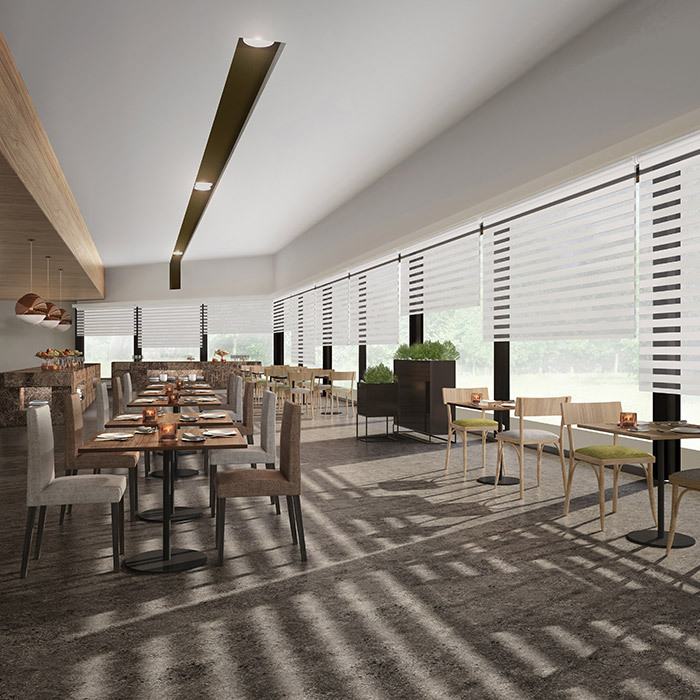 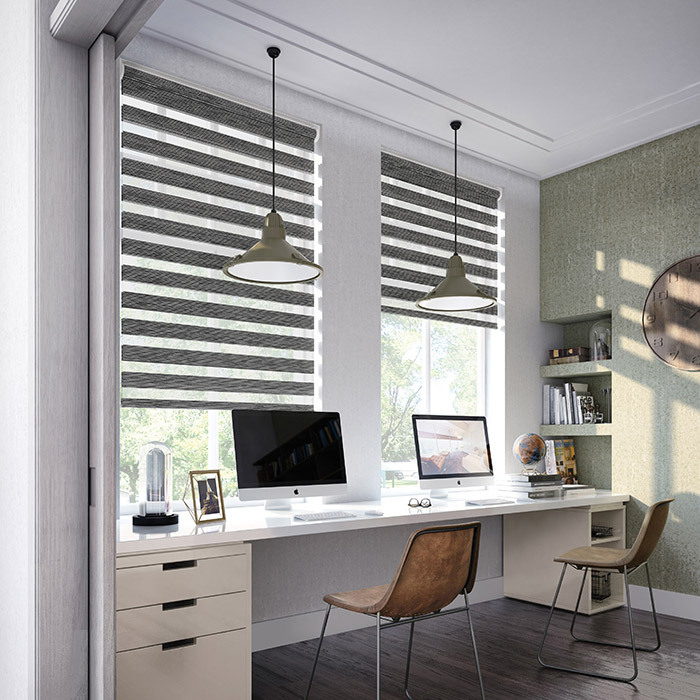 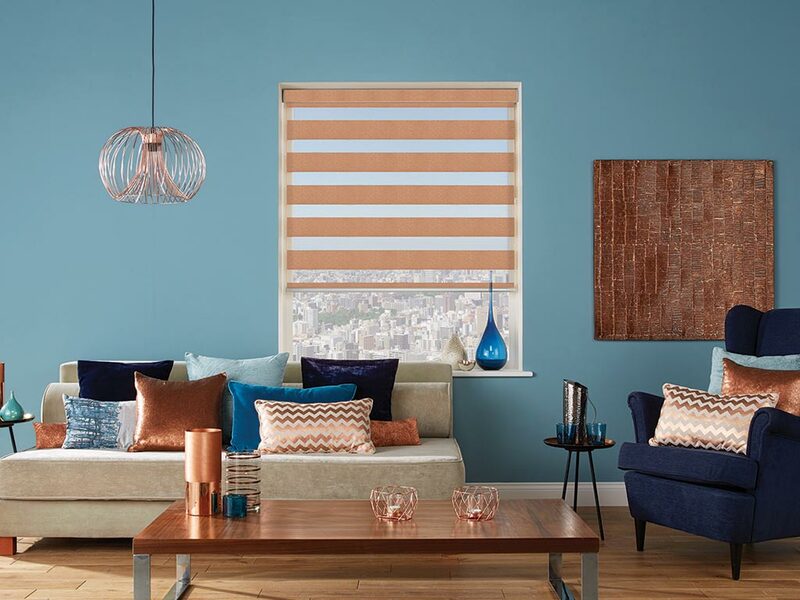 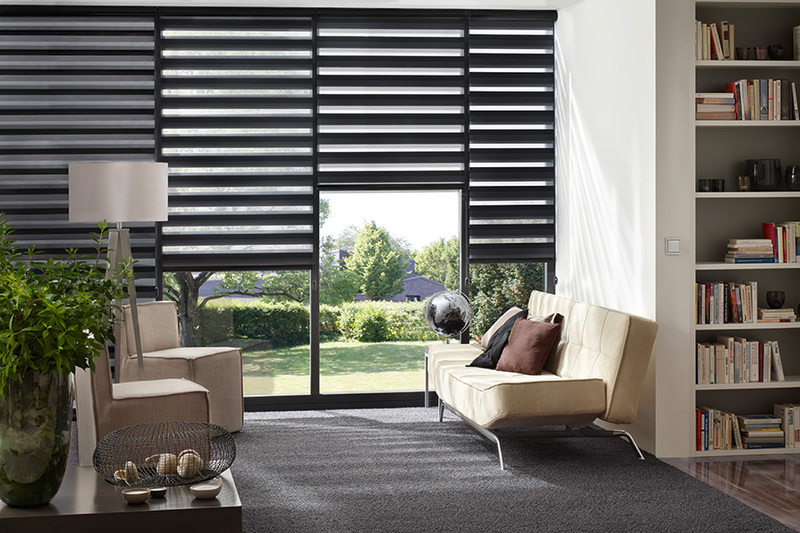 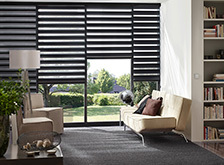 Twilight is available on the exclusive Apollo Blinds Elegance headrail system, which has an aluminium fascia that can be manufactured with a matching or contrasting fabric wrap. 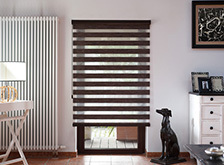 Alternatively, using the new anodised and painted colour options, it can be matched to the new bottom rail. 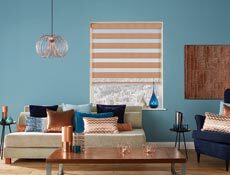 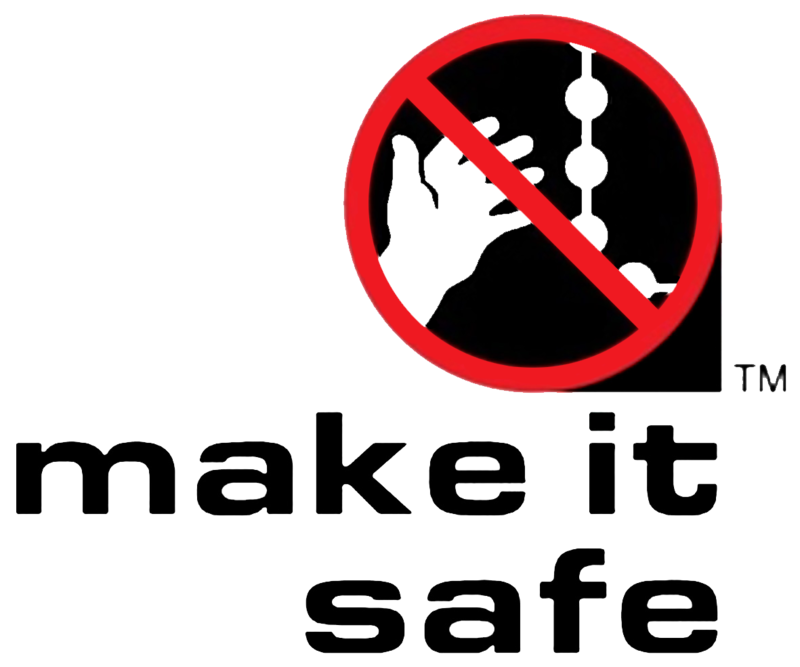 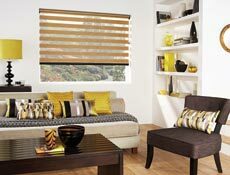 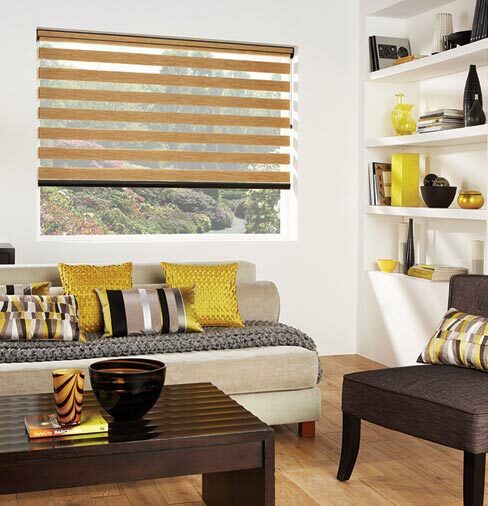 The range has seven fabric types, including plain, textured and designer styles. 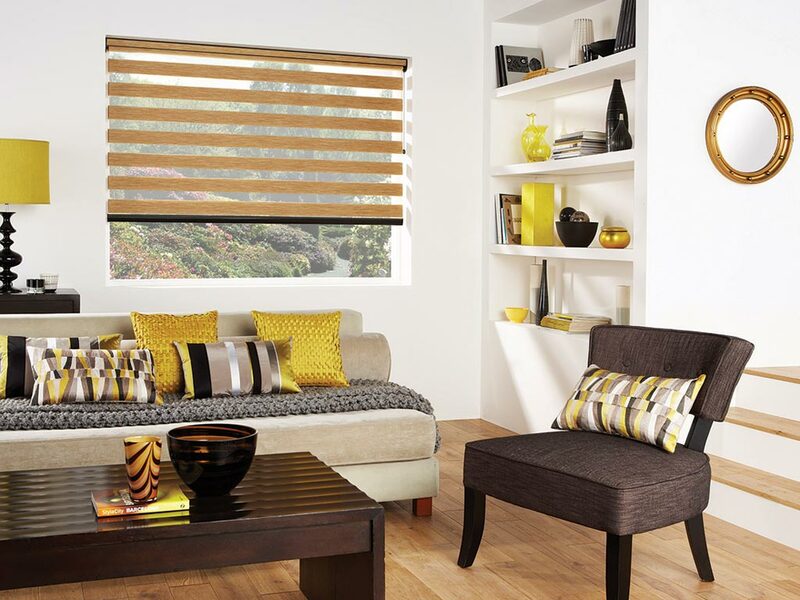 Homeowners can choose from more than 30 fabrics in the entire collection.